Harry Potter Series by J. K. Rowling – Hermione is the personification of wit and is pretty much a walking encyclopedia. Her cleverness and all around geekyness would keep conversation interesting. Not to mention, she would have no trouble putting people in their place if any arguments were to ensue. Divergent Series by Veronica Roth – Tris would have tons of interesting tales to tell about bravery and determination. I’d also feel pretty safe having her around in case a food fight breaks out. Outlander Series by Diana Gabaldon – Claire would bring a time traveler’s twist to the conversation. Hearing her tales of time travel would make for a fascinating lunch hour for sure. 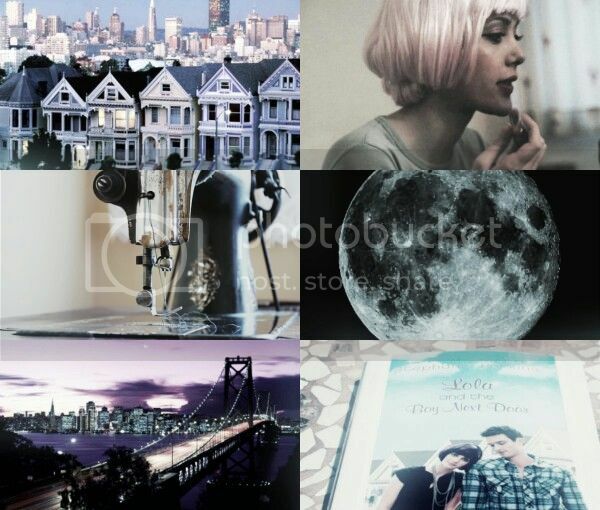 Shatter Me Series by Tahereh Mafi – Kenji was one of my favorite characters in this series and his constant humor and witty banter would have my whole lunch table rolling with laughter. The Mortal Instruments Series by Cassandra Clare – Magnus is just the kind of colorful and glittery personality that is needed at my table. I mean, anyone that throws a birthday party for their cat is most definitely someone I could get along with. He is just fabulous and I’m pretty sure we’d be BFFs. Iron Fey Series by Julie Kagawa – Puck is full of witty retorts and epic one-liners which is the type of humor needed at my table. What fun is eating lunch when you’re not about to spit out your drink with laughter?! The Hunger Games Series by Suzanne Collins – Effie’s upbeat nature, never ending optimism and energy would be sure to not let the conversation damper. Also, if you were ever in need of some wise wisdom, Effie would be just the right person to talk to. She’d have your spirits lifted in no time! 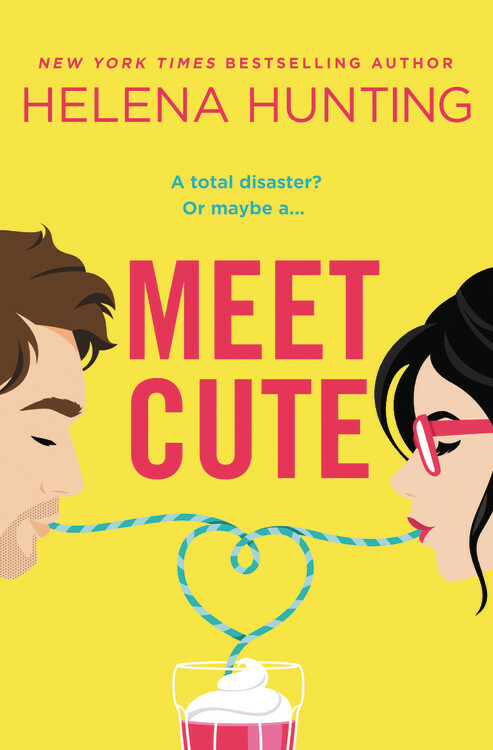 Anna and the French Kiss Series by Stephanie Perkins – There was always a connection I felt with Lola, her quirkiness and her charisma always appealed to me. Not to mention the very colorful outfits and costumes, I think we’d be great friends!! Odd Thomas Series by Dean Koontz – Odd Thomas is just that, very Odd and the world’s most unconventional hero. He sees dead people and has a knack for attracting the weirdest of folks. Odd, we embrace you at “Lety’s Table of the Weird and the Witty.” Welcome! Vampire Academy Series by Richelle Mead – My table needs some more badass chicks with quick wit. Rose is just that! Would any of these fabulous people make it to your table?? KENJI! He made my list, too! He’d just be the one to make everyone laugh, and I love it! I LOVE that you picked Magnus Bane! What a great choice! It’s amazing how many of us have zeroed in on Hermione. Apparently all us bookish types agree that Hermione would make a pretty good best friend. Magnus came to me at the last minute, I had to change my whole list!! No way I was leaving him out lol Glad you agree! Hermione, Puck and Lola made my list too. Great list. Magnus is such a good choice! I love his personality and how loyal he is. Of course Hermonie is an excellent choice as well. I might have to read Outlander, or at least watch the tv show. I’m intrigued every time I see something about it. Great List! 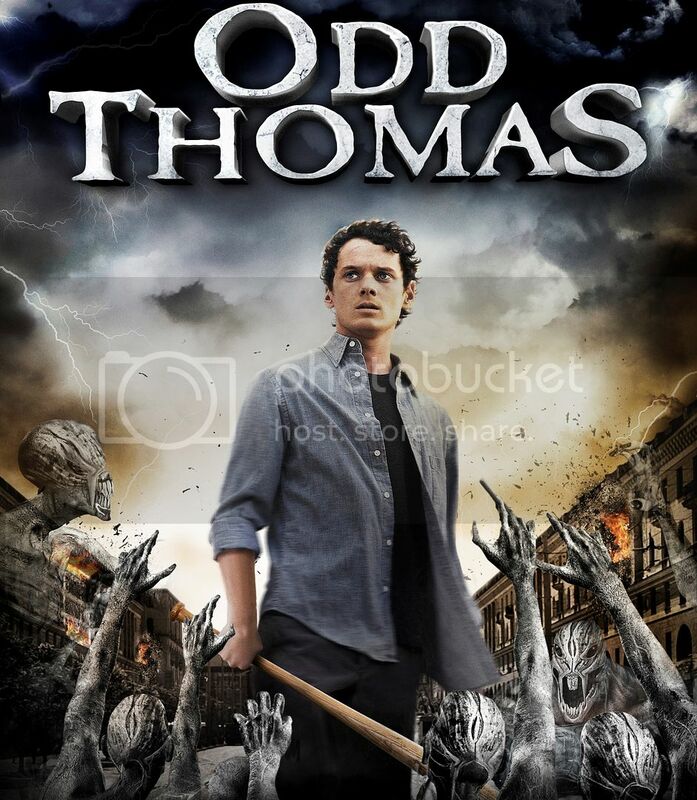 I thought about including Odd Thomas too! I read the first book and really enjoyed it but I haven’t gotten around to reading any of the others in that series. LMAO Yes Effie and Lola would help bring some interesting conversations to your lunch table! Great picks! Niiice! Love Rose! She almost made my list before I divided into girls and guys and high school vs college age! Too many “student” age peeps I’d want at my table! Puck included!! Great picks! Oh my gosh, Magnus Bane would be an awesome table mate! And Lola. 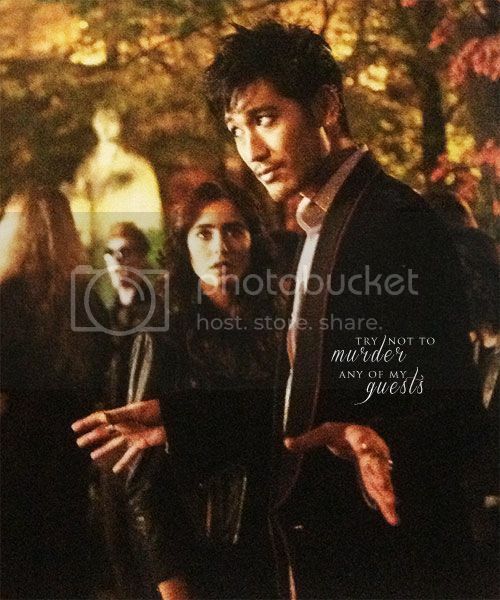 Ooh and Magnus and Lola together. We’d all be laughing the whole lunch period, and never get any eating done. these are fantastic. i especially love Magnus, Hermione, & Claire. that would be one entertaining lunch. I have Hermione at my table, too! And though I invited Katniss and Peeta, Effie is a great choice–she’d be so entertaining. 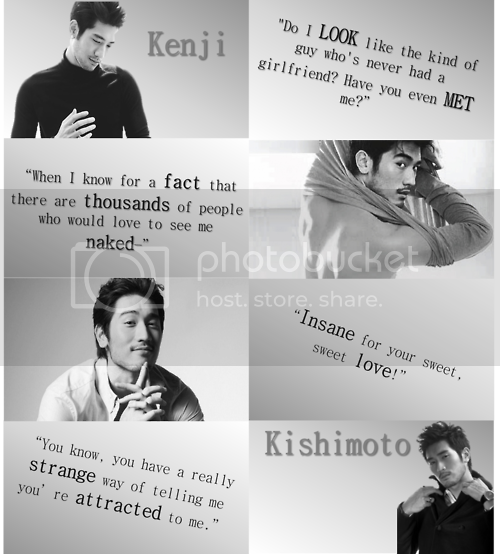 How could I forget Kenji?! Awesome list! Thank you!! And we both chose Hermione!! YAY! Effie! I love it, haha. She would be a hoot. I think her and Lola would have some interesting fashion discussions. :) Tris and Hermione are good choices too!